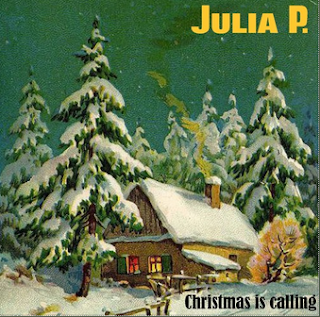 WORLD PREMIERE: Julia P. ~ Christmas A Go Go! Dutch indie-queen Julia P. (formerly known als Julia P. Hersheimer, her mum calls her Marloes) wrote and recorded a FANTASTIC vintage sounding Christmas song. It has it all, the bells, the chorus, the merry atmosphere. To us, it sounds like a sister song to the great Fay Lovsky smash.